Typeface - Typeface is not the same thing as font. It refers to a group of characters, letters and numbers that share the same design. 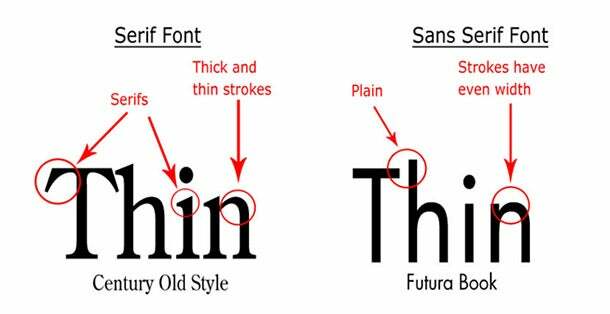 For example Garamond, Times, and Arial are typefaces, not fonts - a very common misconception. Fonts - A specific style of typeface with a set width, size, and weight. For example, Georgia is a typeface; 9pt Georgia Bold is a font. 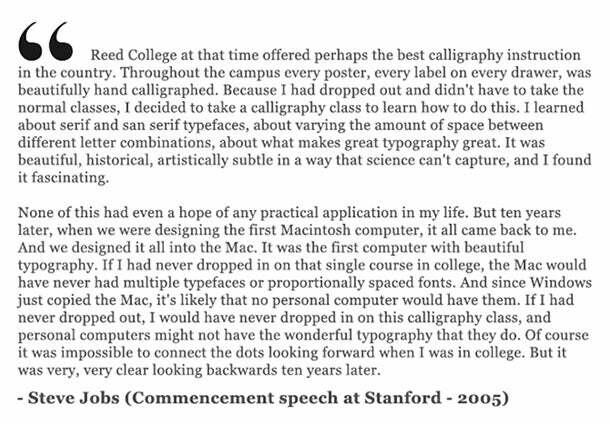 People in the type design community consider a font to be the delivery mechanism and a typeface to be the creative work. Line Length - This refers to the distance occupied by text that is present between the right and left margins in one line. Leading - It is the space between baselines (the lines upon which letters “sit”) and is expressed in points. Kerning - This term refers to the white space between individual characters or letters. Many fonts come with a default kerning value that is best suited to make the space between letters look more natural. Tracking - Also known as letter spacing, it is used to adjust the space uniformly over a range of characters. Tracking can affect the character density of the passage. When it comes to pairing typefaces, you can do it through two principles - correspondence and contrast.